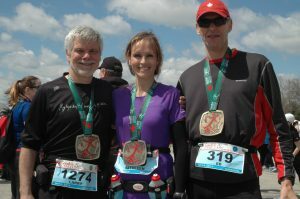 Dr. Fulop with marathon friends. 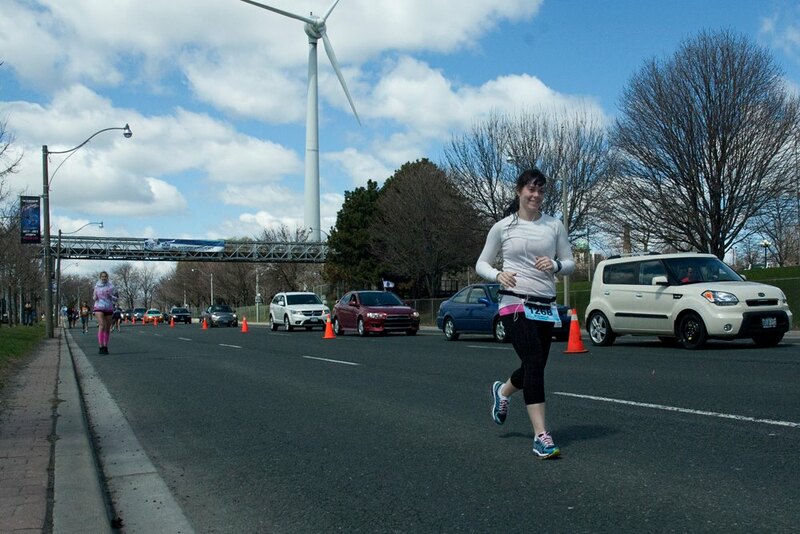 Our RVT Michelle during Marathon. Congratulations to Dr. Fulop and our RVT Michelle for running the Goodlife Toronto Marathon in support of the Princess Margaret Hospital Foundation. 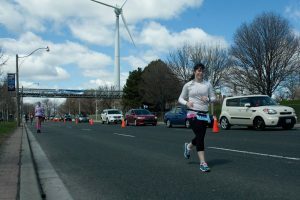 It was a very windy day but despite that Michelle had a fantastic run knocking off 33 minutes from her marathon in the fall. Superstar!